The Calgary Stampede is held close to Calgarian’s hearts. To the world the Stampede is known as the greatest outdoor show on earth, but to Calgarians it is known as the 10 days in summer where you can find pancake breakfasts and BBQ’s all around the city! 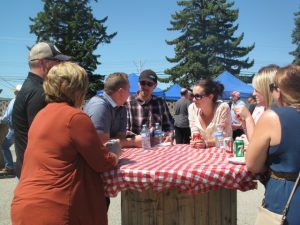 Westburne has been holding their annual BBQ for 7 years and it continues to be a huge success! This year the event had almost 400 people in attendance and 14 vendors which created a mini tradeshow. Tracy Gilbert, Westburne The value of hosting our client appreciation is worth a dozen meetings in any other setting. Breaking bread with a valuable resource, potential partner or customer will allow them to understand our ‘why’ they should continue to do business with us, more organically than at a meeting in a conference room. There is no better venue to nurture our important contacts and connections. The casual and fun atmosphere allows for personal re-connection that can naturally flow into business. 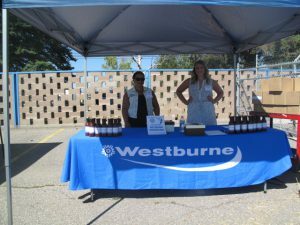 Each customer received a Westburne branded BBQ sauce and an entry to win a Stand-up wooden cooler filled with tools. 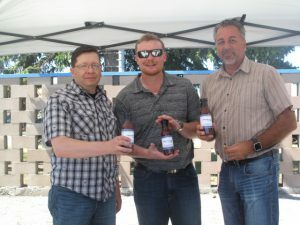 The Annual BBQ is a great chance for the Westburne team to meet face to face with customers and vendors and the Calgary Main branch plans to continue the tradition next year!